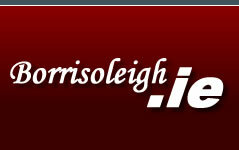 Borrisoleigh.ie fully respects your right to privacy, and will not collect any personal information about you on this website without your clear permission. Any personal information which you volunteer by using our guestbook will be treated with the highest standards of security and confidentiality, strictly in accordance with the Data Protection Acts, 1988 & 2003. Your E-mail address won't be published unless you include it within the text of your message, however your name will appear on this website. Your details wont be shared with any third party. For security reasons we save the IP address 18.234.236.14. This will not be shared with any third party. Happy New Year to my cousins, the Stapletons from the Cross of Pallas and the Ryan Rodys of Turraheen on New Years Day, 2019. My Dad and his 13 brothers and sisters were born in Borrisoleigh. My Dad, Mathew Corbett, was born in 1898. He became a freedom fighter in his teens and became a Captain (IRA). He was forced to leave his beloved homeland approx. 1922-1923 as the Free-State army placed a price on his head. He returned for a visit in 1930 and met my Mom (who was visiting relatives Irish relatives.) My Mom was from England and upon his return to the U.S. sent for my Mother. My sister, Margaret, was born in 1931 and I was born in 1938. I visited once in 1950 and worked the farm outside Borrisoleigh. I have fond memories of that visit. Sometimes I wish that my Dad didn't have to leave, I would have known all my Uncles and Aunts and their children. I now keep in touch with some of them on Facebook but it's not the same as truly knowing them. Borrisoleigh seems like a magical place, it is my Camelot!!! Hi, Picture of Bill (William) Carroll: he was my Grandfathers brother (Jack) who moved to Scotland. Still keep in touch with cousins in Borrisoleigh (Mary & children) great to see this, thanks. All the best to everyone in Borrisoleigh. I have so many fond memories of wonderful holidays in Borrisoleigh and the great characters I met. My grandmother was Ellen Quinn (nee Devaney) and I am the niece of Jim Quinn. My Mum Janie Quinn was born in Chapel Street in 1923 the oldest of 9 children. My uncle Mick is the only one left now sadly. They are all much missed. I am on holiday in Borris in June and I can't wait to return it has been too long since I was last over. From our house to yours 🎄Merry Christmas and Happy New Year to friends and family. I am looking for a photo of my 1st cousin 3x rmoves. Michael Kelly, SJ (1863 Borrisoleigh -1946 Spring Hill College, AL, USA). Wishing Happy New Year to our friends in Borrisoleigh and hoping 2017 will be a very good year. Anyone from around North Tipp area planning to visit Cape Town in the future will be very welcome here in Newlands with ourselves from Currabaha, Templederry. The kittle will be on the hob! !